You too. I lost my RX last month, due to false positive on oxycodone. I am researching all variables in false positives in UDTs. Genetic, drug-drug interaction, etc. I was on Tramadol, but this takes a very specific UDT screen-MD was unaware but remains unconvinced! The BS gets deeper daily. Steve you are terrific, thank you for the link. And for answering personally….it is my long time PCP who was working with me on pain meds after my PM MD retired, So, diplomatically I need to lay out some info for her and her NP….I did not know a specific test had to be done for Tramadol….and that false pos is so common…..thanks for your advocacy-I learn so much from you daily, and not just “opioid Fever”. Maggie, you can also google “false positive on oxycodone” and find many others who have also experienced that. Not only that, if one takes oxycodone and undergoes a simple urine drug text, it often will give a false negative because there is another test they must do to find the oxycodone in one’s system. I wish I could remember where I read this, but it’s quite common and many doctors are not aware of this (which is sad). Google the heck out of this and print off the many comments from others who have experienced the same issue that you experienced. Good luck! (I don’t remember the reason I had to be tested, but many years ago, I had a false positive for PCP. Let me be clear – I have never in my life ever even known anyone who has taken PCP even once, let alone ever saw the stuff – other than on an episode of Drugs, Inc. I suspect it was the Effexor XR, tramadol, or ibuprofen – all three can produce a false positive for PCP – that produced my false positive. You would be surprised at how many substances – including food – that can produce false positives). Thank you so much. I have found many ways false pos of oxycodone can happen. It occurred at my old PM doc, and they put me on probation, UDT every 2 weeks for 1 month. They didn’t fire pts because it happens often. My PCP is not used to UDTs, and Tramadol requires a separate test from other opioids, as does oxycodone, as you mentioned. Never knew that either. So my PCP who I love thinks I’m a druggie, and wants to refer me to PM clinic. WHO will take me with failed UDT? Noone so I am defending myself with research and facts. Hope she can listrn with open mind. sounds like you’re living a nightmare I’ve feared for decades…every time I have to get a UA, I’m nauseous until I hear that it confirms what I know to be true…but I know that the tests don’t always confirm the truth. I guess one thing about the state of Oregon planning on cutting all pain patients off all pain meds is, at least I won’t have to worry about false positives/negatives on UAs any more (talk about trying to find good in disaster!). they claim they’re going to take comments b4 the final ruling, but…riiight. (I notice they’re only yanking pain meds from poor folk; if you can afford private insurance apparently they figure you’re too good a citizen to abuse them, unlike the lying addicted poor who claim to “need” their pain meds). I sincerely hope you have success in finding/keeping good care & are able to continue having a functional life & pain relief. Truly dire times we chose to have horribly painful conditions. Hi there, how can an entire state cut off CPPs? OR are thry so strict on opioid use that, as you said, folks without resources (aka MONEY) will get screwed? I live in rural MS, where is my street corner to cop some heroin? 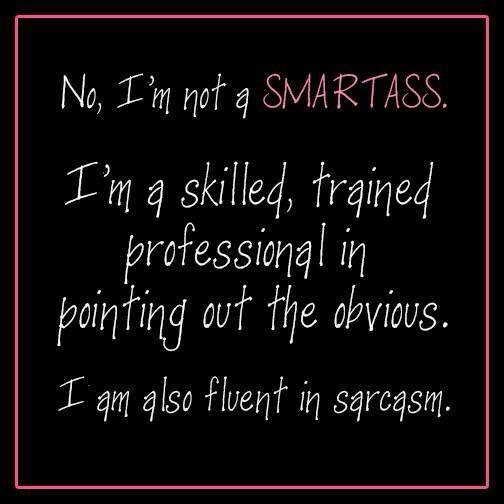 Sarcasm but you get my drift. I don’t know where to turn, like you and 1000s and 1000s….It is hard to fight when we are in so much pain, so exhausted. My BP and afib are worse, as is depression, RA…it is INHUMANE! I will light a candle tonight to shine a light in the darkness! Thank you for your empathy and encouragement…tho sorry (for your sake!) that you understand the whole situation so well. It’s really such an insane situation, isn’t it. 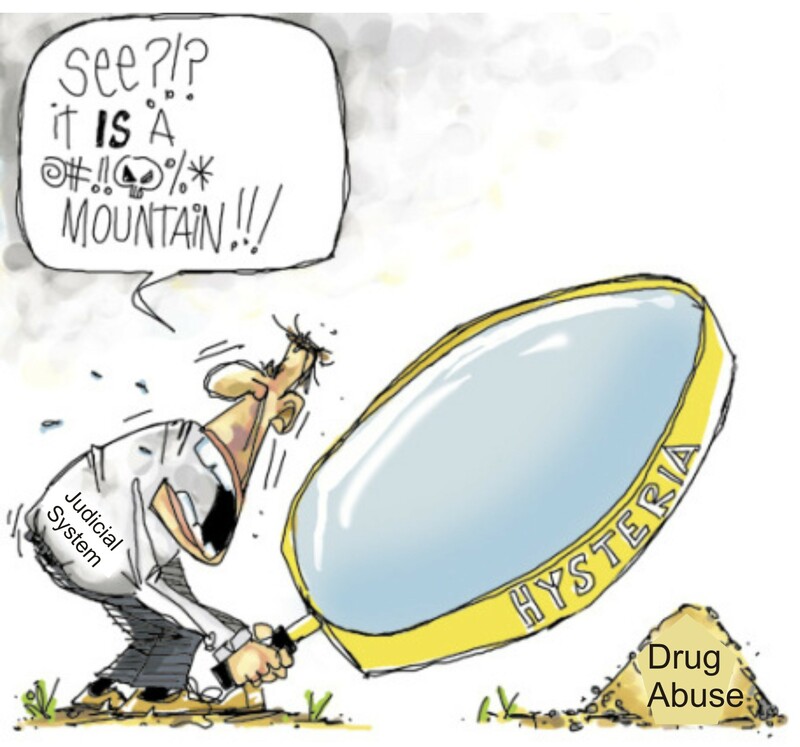 What astounds me is that the people behind the hysteria seem to have no clue whatsoever that they could end up needing the very ‘demon drugs’ they’re trying to eliminate at any moment…that or they’re so comfy in their power positions they know they’ll get them, even if no one else does. I know what you mean about street drugs…I’ve read about CPPs that turn to heroin, & I’m completely mystified. I’ve always been such a goodie two-shoes nerd that I neither could nor would try to get street drugs no matter what –I still had palpitations when I bought legal mj products in my legal mj state a few years back to try for pain (they didn’t work; just as well, as I couldn’t have afforded to keep buying them). My mother had the huge bad timing to get terminal leukemia during the last big opioid hysteria in the late 90s. She died in unimaginable agony; they refused to give her anything but liquid children’s tylenol, even after she was unable to swallow, even after there was absolutely no question that she was dying. I spent her last coupla weeks pretty much insane with rage and guilt & grief, and sorta kinda thought about trying to figure out how to get her some illicit something that would relieve her agony. But I just couldn’t do it, & not just b/c it would’ve finished off my Dad if I’d been arrested. I guarantee if I couldn’t do it for her, I couldn’t for myself. But I don’t condemn those who do (tho I’d wager there’s fewer of them than the hysterics try to claim). They’re so concerned about appearing about opioids that they don’t care about a whole chunk of population getting screwed…they say they’re going to send patients to “alternative” therapies, but none of those are covered now & I’m sure none will be covered after they eliminate the opioids. But they look so sensitive & caring talking about them, don’t they? After all, what they look like is what this “crisis” is all about. I just hope that I can hang on til the pendulum swings back toward something like sanity. I figure I’ve got another 10 years with my dog, whom I’ll not abandon while I have any choice in the matter at all. After that, if this insanity still prevails…well, I’ve got lots of time to try & compose a note that will make it clear that the forced torture is the problem, not “addiction.” & hopefully can figure out a way to get it publicized enough to maybe help out those who keep soldiering on. My former pain shrink used to accuse me at times of “catastrophizing…as good as she was, I really don’t think she understood that sometimes, perceiving a catastrophe is a perfectly sane & realistic grasp of external reality (after all, she had no financial problems, and she is married to an MD so also had no pain treatment issues). Poor folk without docs are, as you say, truly screwed. It ain’t all in our minds. Hope you’re having a good week/day/hour (that’s an attempt to be realistically optimistic) :-). Thank you pharmacist Steve! I find most people that resort to name calling are usually the ones that have very little knowledge of the subject that you’re talking about and are so closed minded they can’t look at the whole big picture. Thank you for all that you do to help people in pain, your articles give me hope that at some point in time people will understand how to treat pain and addiction as well. Keep up the good work my friend. Canarensis, I found nothing in your comments that were condescending. Perhaps Stevengeiser is having a bad pain day. Anyway, I enjoy your comments and hope you will continue. Pharmacist Steve; thank you. I really appreciate you confirming that you took my statement as intended. And I sincerely do respect, & enjoy your posts; it’s guaranteed that I’ll continue to read & comment on them. And I really, really understand having a bad pain day & am certain that not all my comments are paragons of wonderfulness 100% of the time. I was, tho, considerably taken aback at the response…but these things happen. Onward and (we hope) upward. An understandable & admirable viewpoint in this age of vitriol. But does this mean we have to say nice things about Kolodny, or merely keep a lid on the bad stuff? Can I call him “he who shall not be named”? Just stick to the facts… Kolodny has a very well defined agenda… it is the slanderous name calling… is where I am drawing the line… personally, I call out a lot of individuals, corporations and politicians and point out the FACTS of how they are screwing with pts. Making statements using slanderous names, Factoids, Fake news .. IMO .. serves no one well.. I am not trying to be “lily white” … just use the facts/truth. I recently pointed out that Sen Donnelly (IN-Dem) sent me a letter whose content has nothing to do with what I had wrote to him about.. that – to me – strongly suggests that either his staff is poorly trained, he does not have a “form letter” to address the particular issue or could care less about the issue I tried to bring to his attention… He is up for re-election this fall… I just wanted my readers from Indiana to TAKE NOTE of him & his office/staff… This is just one incident… are there others ?… Does he deserve to get another 6 yrs ? Could his opponent do any better or is the system so corrupt that all have to go along to get along ? There is a lot of members of Congress – larger number than normal – are choosing not to run for re-elections… what do they know that we don’t ? pharmacist Steve. I see, understand, and agree with your point. And I too have sent numerous letters (yes, respectful ones) to my reps and received replies that either did not even address my point or proudly proclaimed everything they were doing that directly opposed my point. I find it stunningly frustrating, angering, and frankly frightening. DC’s ignorance is definitely bipartisan, and correcting them all would need 100s of us, so yes, we all must keep track of our state. Thanks ffor new by-state prescribing guidelines. I live in Mississippi, where we were cutting back and RX monitoring were in place in 2015. Thank you for your articles, your experience and your commitment to rational pain treatments. To: Canarenis: Try to show some class. Your condescending comment absolutely did not elevate you to the readers as you probably felt it did in your mind. This forum has probably helped hundreds if not thousands struggling in the darkness of pain without advocacy by receiving sometimes lifealtering information and updates for people living in Chronic pain to help deal with their unique situations. Your lack of respect is loud and clear. I am a Christian man rarely taking the low road. But your comment and others like it have no place in a forum that overwhelmingly benefits so many living with little hope in this opioid war declared on people living in real pain. For me, this forum is an amazing Blessing for so many that have so little to hope for. Thank you Steve for your devotion and committment to so many. Steven; My comment was not condescending; I genuinely think that today is an age of vitriol and it’s a good thing not to call people names. I certainly respect people with chronic pain, as I’ve suffered from it for decades. I have referred dozens of people to this forum and respect pharmacist Steve tremendously for what he’s doing. I truly don’t understand how saying no name calling is an admirable goal can be translated as condescending & lacking respect; perhaps as a Christian man, you should check for beams in your own perspective before condemning others for speaking honest praise. LOL-thanks for a much needed laugh on Kolossal Klodhopper! Maggie– glad I could give a chuckle….the laughs are few & far between these days for those of us unlucky enough to suffer chronic pain.